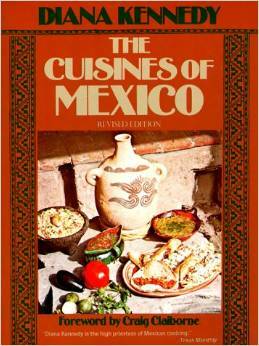 The relief and landforms of Mexico have been greatly influenced by the interaction of tectonic plates. The resulting relief patterns are so complex that it is often claimed that early explorers, when asked to describe what the new-found lands were like, simply crumpled up a piece of parchment by way of response. 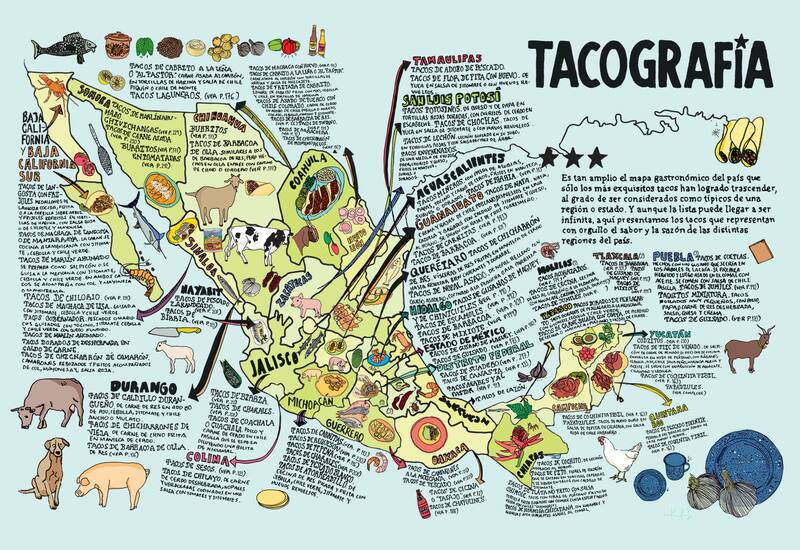 The map below shows Mexico’s main physiographic regions. The core of Mexico (both centrally located, and where most of the population lives) is the Volcanic Axis (Region 10 on the map), a high plateau rimmed by mountain ranges to the west, south and east. Coastal plains lie between the mountains and the sea. The long Baja California Peninsula parallels the west coast. The low Isthmus of Tehuantepec separates the Chiapas Highlands and the low Yucatán Peninsula from the rest of Mexico. 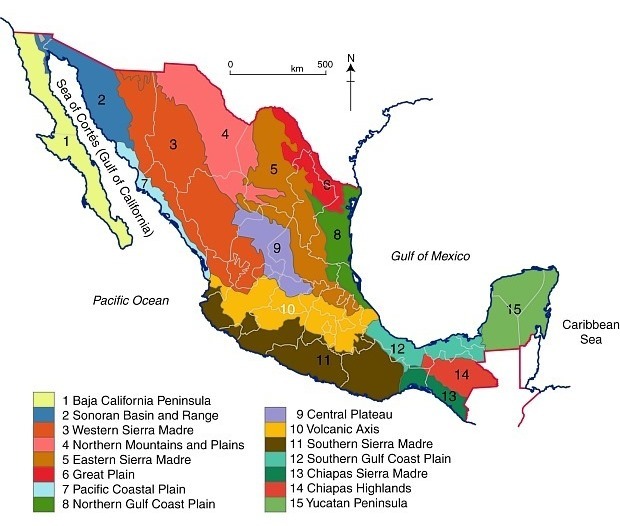 Mexico’s physiographic regions. 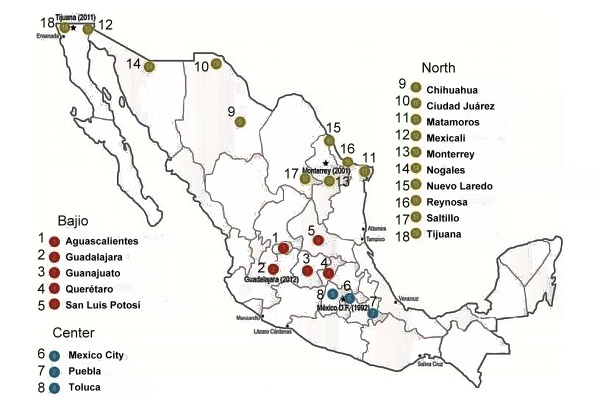 Color version of Figure 3.2 of “Geo-Mexico, the geography and dynamics of modern Mexico”; all rights reserved. and will look more closely at some of the other physiographic regions in later posts. A recent snapshot of the industrial real estate market in the last quarter of 2013 compares progress in three industrial regions in Mexico: Northern Mexico, Central Mexico and the Bajío Region. The snapshot comes from the report ‘Industrial Markets in México (Q4 2013)‘ by Jones Lang LaSalle, a global real estate services firm specializing in commercial property management, leasing, and investment management. The five main cities of the Bajío Region (Aguascalientes, Guadalajara, Guanajuato, Querétaro and San Luis Potosí) are booming in terms of commercial and industrial real estate. In the final quarter of 2013, the region added about 550,000 m2 of commercial and industrial space. This was more than double the additional space added in Central Mexico (Mexico City, Toluca and Puebla) and close to the total amount (614,000 m2) spread between 10 cities in northern Mexico (see map). In the North Region, “Tijuana has been occupying vacant space… and Ciudad Juárez is on its way to recovering from low rents and high vacancy”, while the automotive sector is driving growth in Saltillo-Ramos Arizpe. The Bajío Region has consolidated “with new industrial parks related not only to the new car manufacturing plants, but also for new investments related to aerospace, food and personal consumer” products. Where are Mexico’s vehicle assembly plants located? Why Mexico is fast becoming a key player in aerospace manufacturing?